TECH WEEK 2017 Lifts Off This Saturday! Ireland’s national festival of technology aimed at students, parents and the public, takes place all over Ireland from 22nd-28th April and is sure to be a fun-filled week. Organised by the ICS Foundation, the social enterprise arm of the Irish Computer Society, and funded by Science Foundation Ireland, this exciting week of events will see more than 100,000 students take part in a range of fun activities, including the finals of several Tech Week events. Among the week’s keynote events will be the national Scratch Coding final in Limerick, the Bebras Computational Thinking Challenge in Maynooth and The Tech Week Sessions happening as part of Feile na Bealtaine in Dingle on Friday, April 28th. In addition to these fantastic keynote events, academic institutions and businesses will host events nationwide, and hundreds of schools across every county in Ireland will take part. Another key event happening during this year’s Tech Week is IT Professionals Day, which is aimed at celebrating the value and status of the IT profession in Ireland and internationally. Supported by the European Commission, the lCS will be joined in this event by colleagues in Malta, Spain and Italy. The event will also formally launch the National Digital Skills and Jobs Coalition. Tech Week is supported by SFI through their Discover programme. 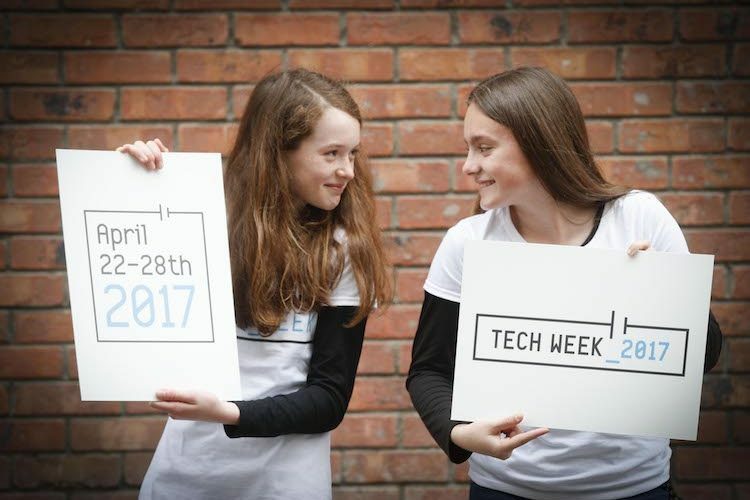 You can learn all about Tech Week 2017 by visiting www.techweek.ie, facebook.com/techweekirl and following @TechWeekIRL on Twitter.